My son didn’t go to kindergarten. Instead, he attended a private day care for two years and government-run day cares until he reached school age. In total, he went to four day care centers. Now that he is in school, it doesn’t seem that there is a difference if he had gone to kindergarten like his other classmates. He can read and write Hangul as well as his friends who attended kindergarten. His math, art and knowledge of history is more than what the state requires for first graders. When my son attended a private day care, we paid almost 400,000 won a month for a total of two years. When President Lee Myung Bak signed the government subsidy for multicultural kids in 2011, we didn’t have to pay for his monthly tuition fee anymore. The only thing we spent on were his uniform, special classes (English, music, GABE and PE ~ 70,000 a month total) and field trips. Whenever I watch the news in late fall, I hear about parents camping outside kindergartens to have their kids registered the following morning. 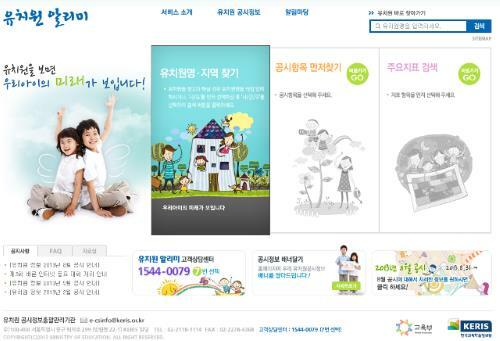 Apparently, there is a “shortage” of affordable kindergartens in Korea. Private kindergartens are quite expensive for a middle-income family. According to this report, they charge 14 times more than public institutions. The most expensive kindergarten, Uchon Kindergarten, charges 1.1 million a month (about 1,000 USD or 44,000 pesos) plus an admission fee of 530,000 won. The fees are not regulated by the government, unlike with public kindergartens. We chose to send our child to day care since I worked full-time four years ago. I didn’t stop working, albeit part-time, until this year when my son entered elementary school. Day care centers are usually open until 7:30 PM. There are several that take care of children until 9:00 PM and few accept children for overnight stay (just like my son’s last day care center). Kindergartens usually end at 3:00 PM. A college degree is not required for day care teachers, that is why they hire the services of special teachers for some subjects. In Korea, education is highly valued and parents wouldn’t mind spending the bulk of their budget on their children. i love your new blog’s design. it’s more well organized this time. i usually read your blog whenever i want to update myself about korea. thanks for the updates!!! Meron ba schools for special kids who have developmental delays like autism? Yes. At my son’s school, there is a division for special children. At our apartment, there is a special child (14 years old with autism) living on the first floor and he goes to a special school. They also receive subsidy from the government. Sorry to say most of the Korean Private School, College & Universities are very much commercial. Would like to say the authority taking it as business and that’s why students suffering some issue. I think government directly should take some steps.